It's updated every 14 days! 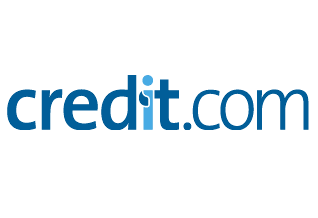 Credit.com is here to help you to learn (or remain knowledgeable) about your credit. We offer two free scores from Experian that are updated every 14 days. Once we retrieve your information from Experian, we create a personalized dashboard with a summary of your credit file. It is no cost to you and no credit card is required to sign up. Review your simple credit profile. With a Credit.com account, you get five easy-to-understand grades and your Experian NES (National Equivalency Score) and your VantageScore 3.0. The grades highlight the most important items for you to review and keep an eye on. You can use the personalized advice from our experts to better manage your credit and prepare for your financial future. Your free Credit.com account allows you to easily check your credit score and learn about the factors that determine your credit rating. You will also be able to compare to others in the U.S., your state and your age group. More than just a free credit score. Make smarter decisions. Find out which credit cards and loans you are most likely to qualify for - BEFORE you apply. Maximize your odds and manage your credit wisely. Free updates every 14 days. Use data straight from the source. The credit report information summary included in your Credit.com dashboard comes directly from Experian, the leading, most comprehensive bureau in the U.S. Your data is safe and secure. We work hard to keep our free tool and your information secure and safe. It is protected by bank-level encryption on our site.